Show Me Your Salad'tude Contest! Win a Napa Valley Culinary Adventure from Dole! Today's BIG contest announcement involves one of my favorite things: SALAD! Announcing the Healthy. Happy. Life. 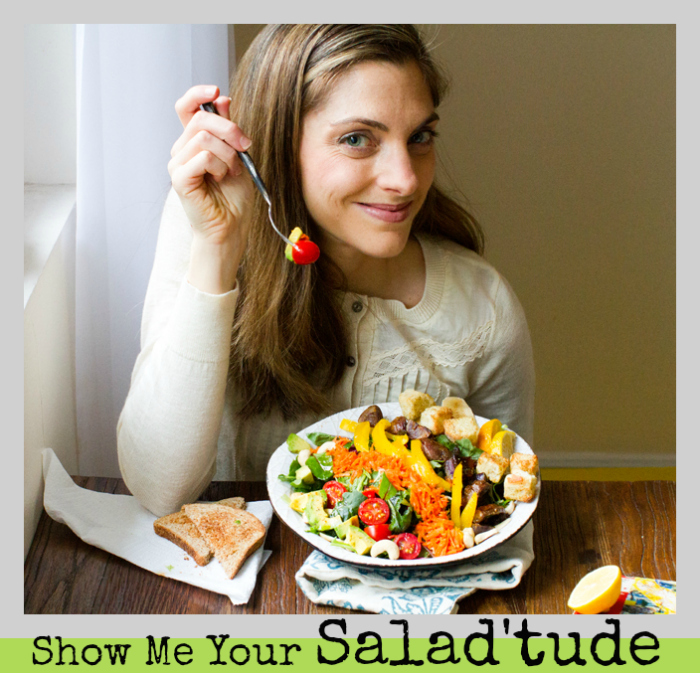 Show Me Your Salad'tude Contest! One grand prize winner will win a Napa Valley Culinary Adventure + $1000 Spending Money - (hosted by Dole & worth over $6000!) Yes, really. The winner will explore Napa, mingle with celebrity Clinton Kelly (of ABC's The Chew) and indulge in a salad lovers' dream adventure! This prize is generously supplied by Dole. 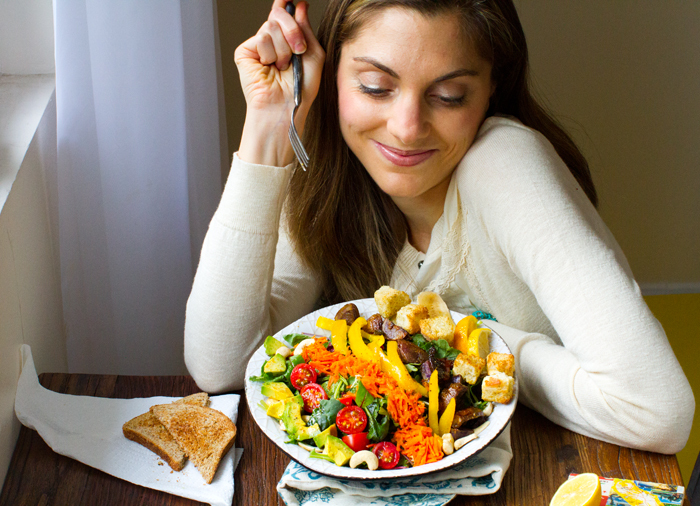 Because Dole Salads truly wants you to embrace your own personal salad'tude each and every day. The rules are pretty simple. I want YOU to Show Me Your Salad'tude! ..Agreed! And to me, a person with salad'tude creates salads with soul. 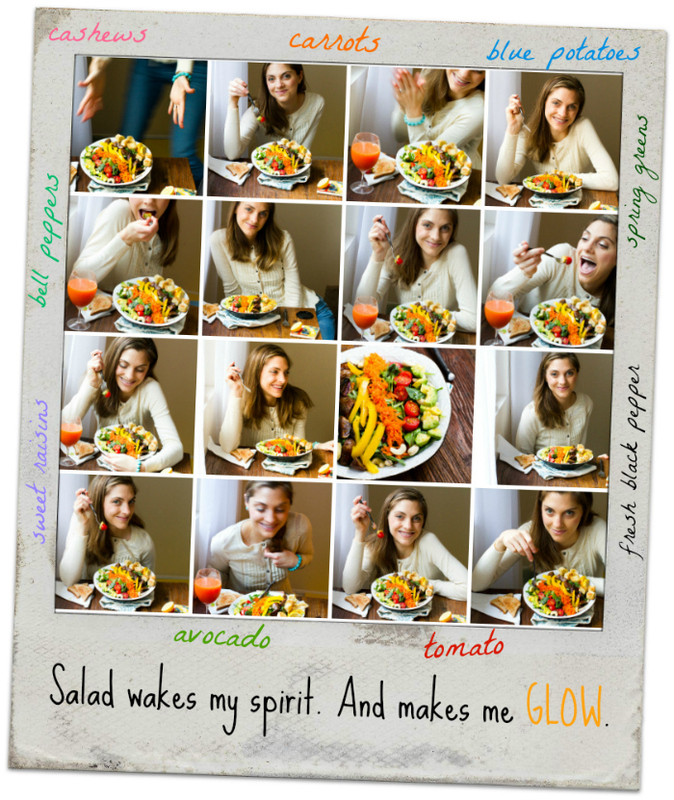 Salads that reflect your attitude, mood, personality, creativity and passion. The inspirations for your salad can be places, people, favorite ingredients, experiences and more. I have expressed my own salad'tude via some of my favorite salad recipes: Butternut Bliss Salad, Aloha Tiki Salad, Spring is in the Air Salad, Strawberry Heart Salad, Spicy Peanut Avocado Twirl Salad, Tofu Crunch Salad, Rainbow Slaw Salad, Fully Loaded Kale Salad, Vegan Macro Meal Salad and more! Clinton Kelly will be in Napa for the adventure, maybe mingling with YOU!.. The Contest: "Show Me Your Salad'tude" Healthy. Happy. Life. Contest. Details: ONE winner will be chosen based on their salad'tude photo entry. Prize and entry details below. The Prize: Napa Valley Culinary Adventure + $1000 Spending Money! Entry period: Nov 1, 2012 - November 30, 2012 midnight PST. 2. A salad that you made. 3. Text. This text, aka your "salad'tude statement" should be 1-3 sentences communicating your salad'tude or describing your salad and what it expresses. Text can be a decorative overlay or a simple photo caption. Enter via Email: Send one entry per person to HHLsaladtude at GMAIL dot com - using the email subject: SALAD'TUDE CONTEST ENTRY. Attach your photo entry and in the body of the email, include your full name, email address, phone number and state you live in. USA residents only. Age: 18+ only. Prize Details: Courtesy of Dole, one winner will be sent on an elaborate, four-day, three-night culinary adventure at Greystone, the Napa Valley, Calif., campus of the Culinary Institute of America. 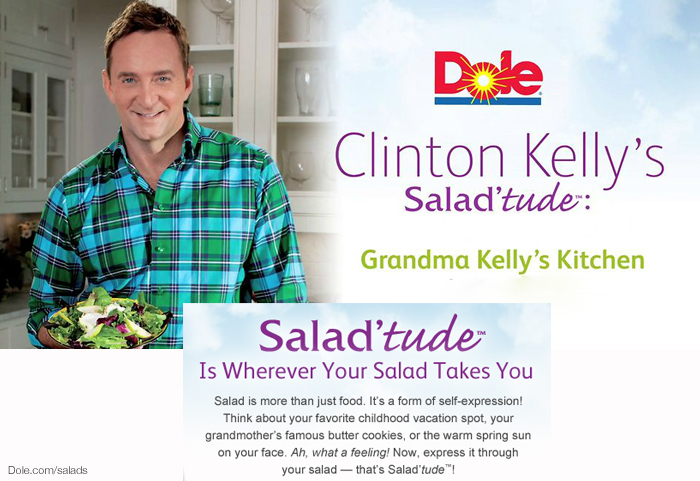 Salad lover (and celebrity) Clinton Kelly (of ABC's The Chew) will make a guest appearance at the event to share his personal Salad’tude – and how his childhood memories of family meals and cooking traditions inspired a series of new Dole fall and winter salad recipes. * You must follow the directions EXACTLY or your entry will be discarded without notice. * Please only use VEGAN ingredients in your salad/photo/text. * Photo must be at least 700 pixels wide. 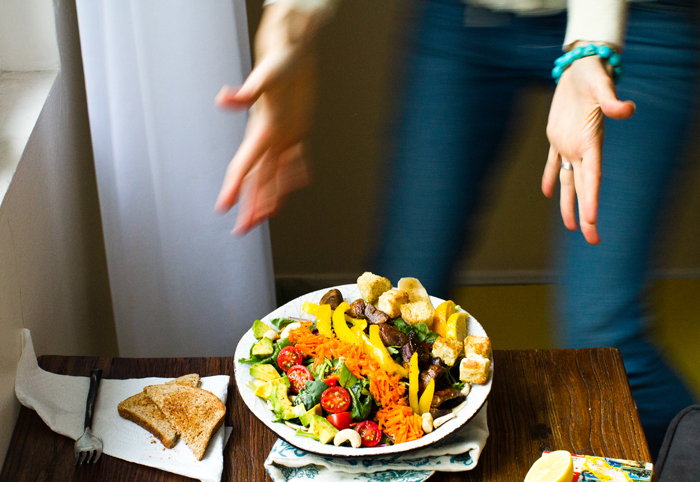 * Your salad'tude statement should be 1-3 sentences. You don't want to crowd the image too much. Text needs to be readable online. * Important: By entering the contest you permit Healthy-Happy-Life.com and Dole.com (and associated social networking accounts) to publish your image entry for contest promotion and finalist judging round. Winner agree to sign an image release if requested. * How-to Create Your Image: Any camera will work for the image. To edit your image, adding text and accents, you can use photo editing software (like Photoshop) - (Or use PicMonkey.com - easy and free!) Tip! Feel free to be as creative as you'd like with both your photo setup and text accent. * To clarify any confusion, my contest is SEPARATE from the National Dole Salad'tude contest. My contest is open to HHL readers only. yay you guys! Finalists will be announced on Healthy-Happy-Life.com and finalist photo entries will be uploaded to a gallery on Facebook for public voting. The finalist with the most "likes" at the end of the voting period will be awarded the prize. Winner will be contacted by me and must respond to accept prize within 14 days or a second winner will be chosen. In the event of a tie, I will choose a winner based on first round scoring. 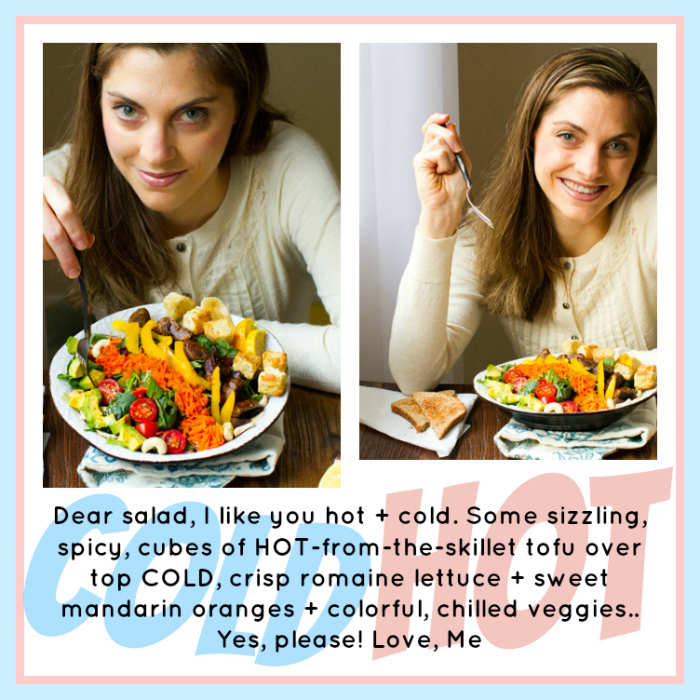 A few examples of possible contest entries I whipped up (I used PicMonkey.com)..
Do you have Salad'tude? 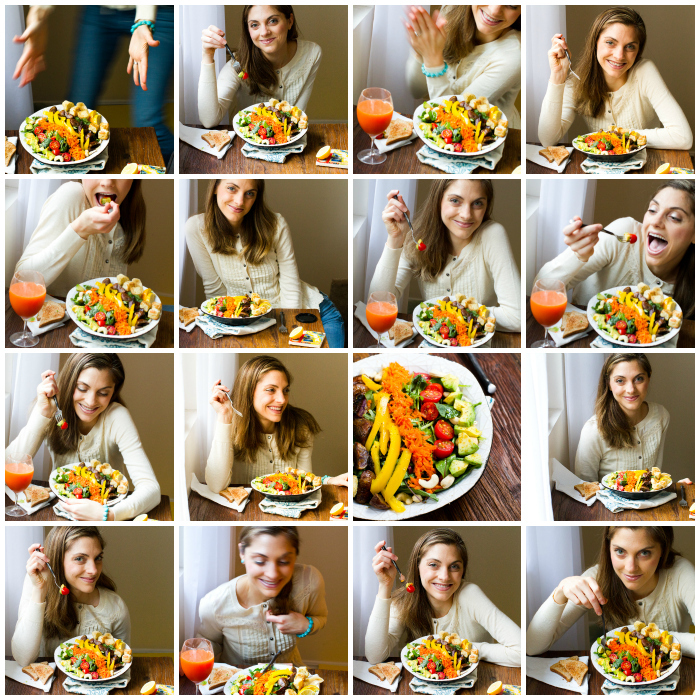 You probably agree with a few of these statements..
* There is no such thing as a boring salad. * Salad can be a side dish, but it is also a cravable entree option! * My salad reflects ME! * Salads are about more than lettuce and dressing. They can include just about ANYTHING you crave! * The old stereotypes about salads being "boring" are quickly fading. 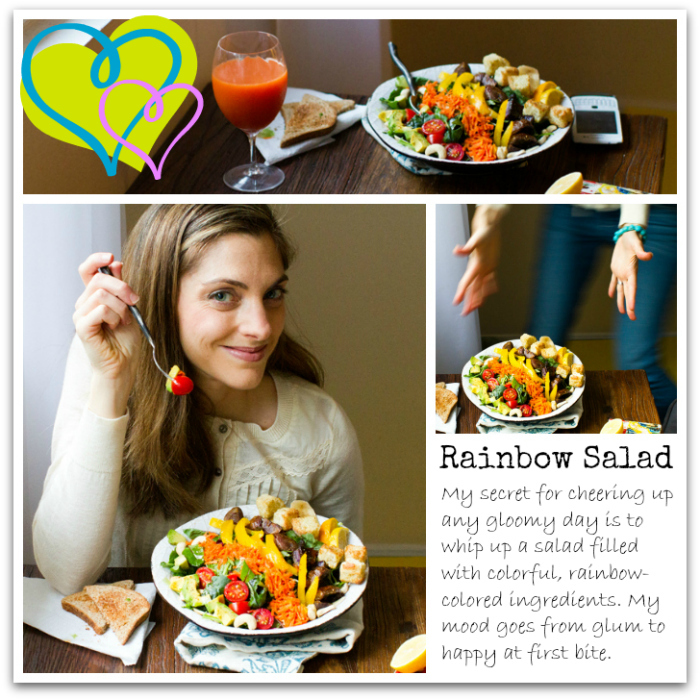 * Salads can be as creative, delicious, satisfying, fun and inspiring as you want them to be! Get more info from Dole on this awesome Salad'tude concept. Follow Dole Salads on Facebook and Twitter too! You can also join Dole's Salad Circle. Details. Also check out Dole's Nutrition Institute - one of my favorite websites for nutrition info, tips and news. CONTEST NOTE: This is NOT a sponsored post. Healthy-Happy-Life.com is happy to host this contest, and is thrilled that Dole Salads contributed such an amazing prize for one Healthy. Happy. Life. reader to win. Please contact kathy at lunchboxbunch dot com if you have any contest questions. Good luck!